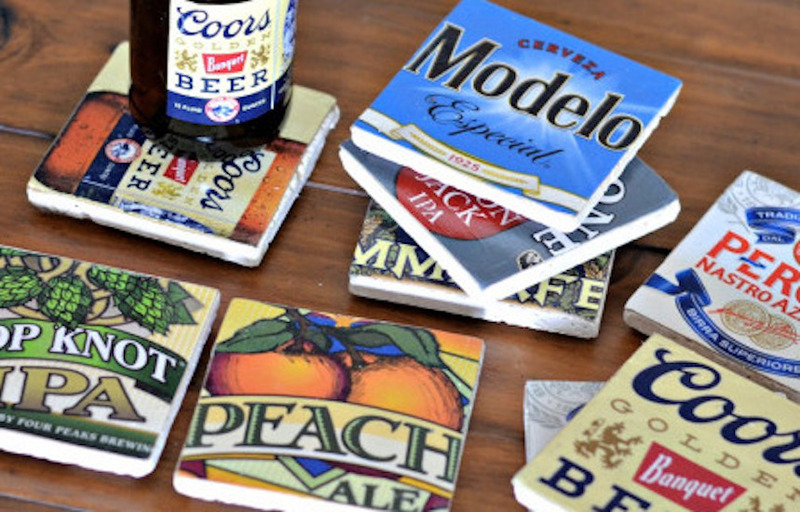 These beer coasters are not only super easy to make, but they would also look very cool in your living room, a man cave, or even out on your patio! Check out this tutorial from Hip2Save. This is one of those candles that is too beautiful to burn! 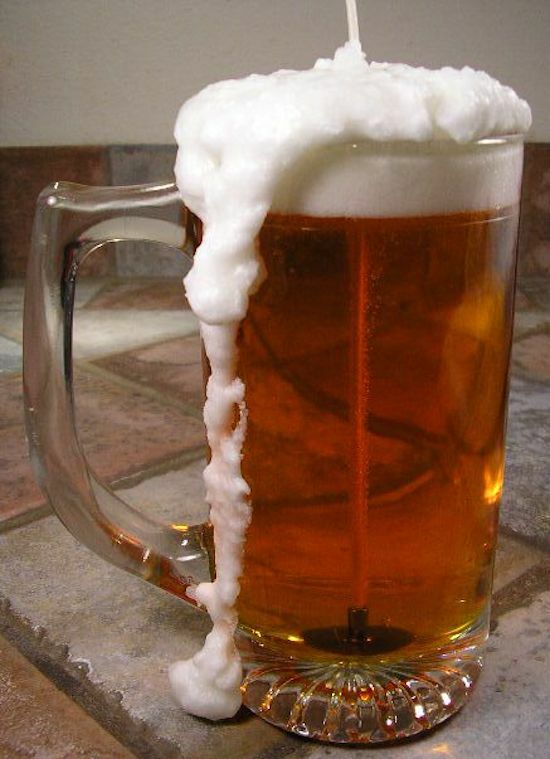 There are many beer candle links on Pinterest, but here are detailed instructions by The Spruce. These tiki torches will look awesome in any backyard! You can find all the supplies you need at your local hardware store. Anybody who likes drinking outside on the deck (a.k.a everybody) will love this gift! 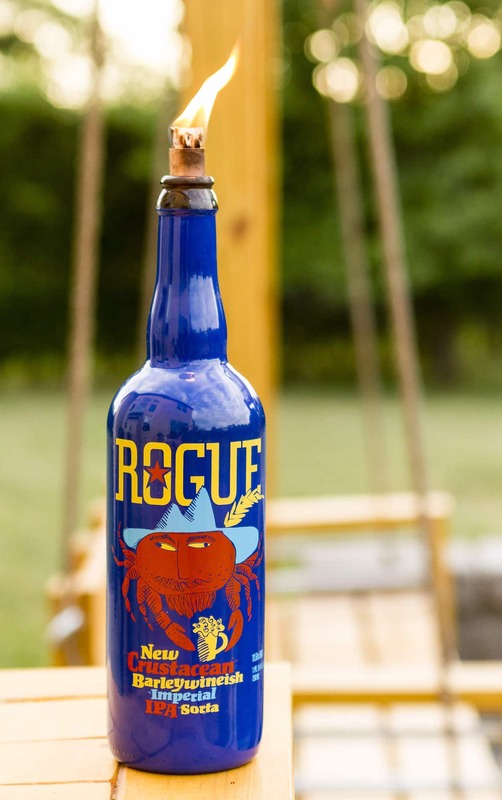 Unsophisticook uses Rogue’s beer bottles to show you how to make this DIY. 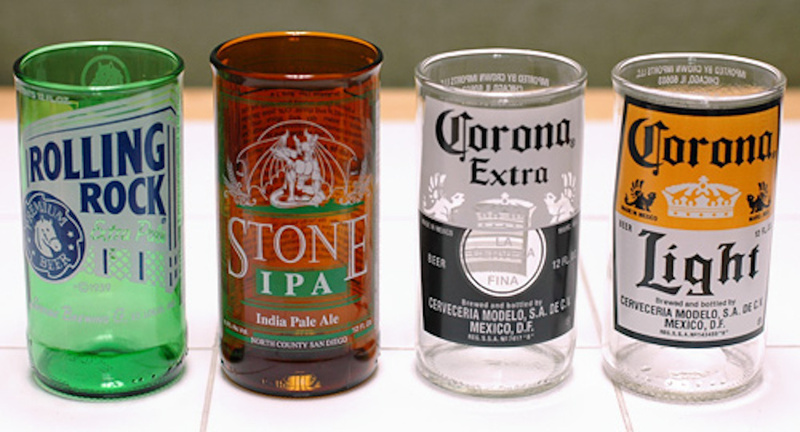 Every serious beer drinker has a beer glass collection. 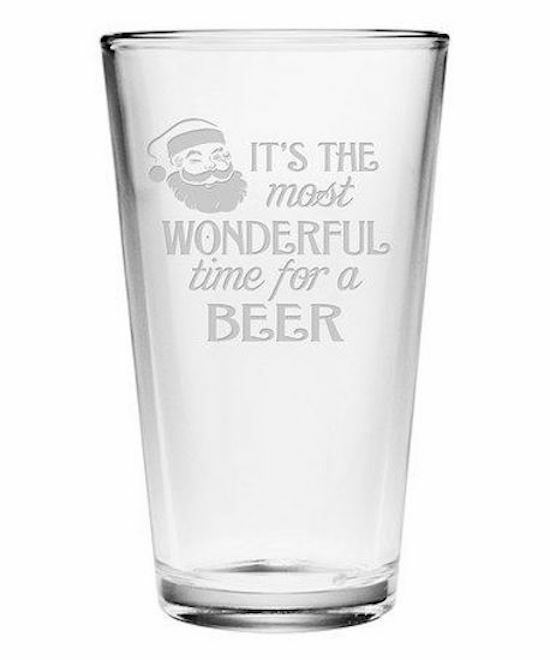 This holiday season you should add to that collection by giving a personalized etched beer glass! This is a lot easier than it looks. Head over to your local craft store, like Michaels, buy a glass etching cream and read the instructions. You could etch a funny quote, their favourite sports team’s logo, or even just their name. 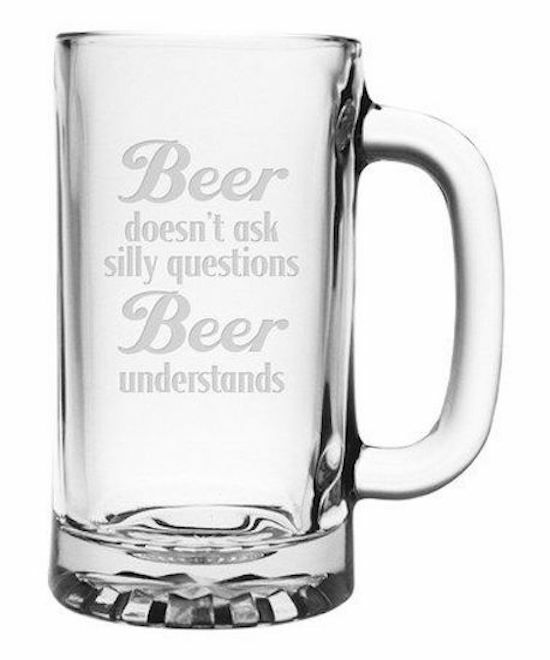 This would be a great gift for anyone who loves beer but doesn’t like to commit to just one. 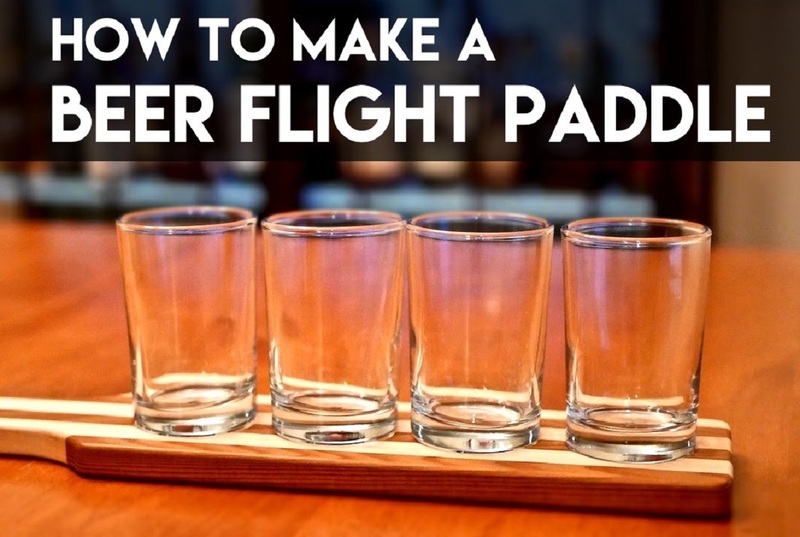 This beer paddle will let them sample different brews all night long! Check out the video tutorial here. Tools and wood working skills are required. How cool are these glasses? Again, this DIY is way easier than it looks. Check out this illustrated tutorial from Life Cheating. 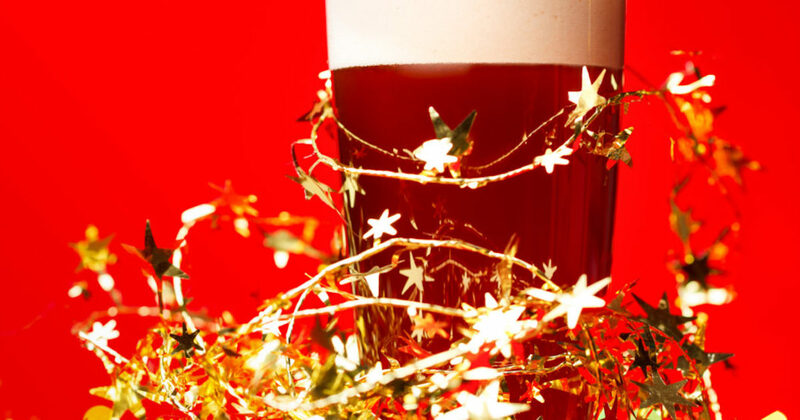 We hope that some of these DIY ideas help you out if you’re still scrambling to find gifts for the beer lovers in your life. If you try any of these DIYs, let us know! !